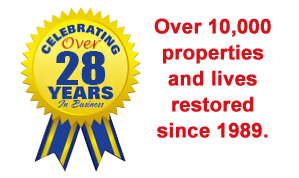 ICC operates a full service residential and commercial carpet and upholstery cleaning division and brings this expertise to bear on the restoration of carpet, rugs and furniture damaged by water, fire and other disasters. 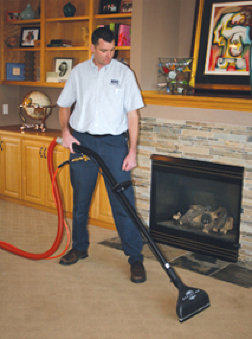 General and restorative cleaning utilizing a unique 10-step cleaning process for maximum soil removal. IICRC certified technicians on every job. Each carpet fiber is cleaned, dried and groomed to that “just installed” look. Expert stain and odor removal. Environmentally friendly cleaning agents safe for children and pets. Vegetable based specialty cleaning agents are available. 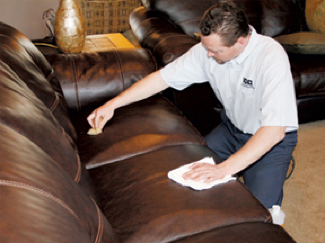 General and restorative cleaning, including specialty and delicate fabrics. Expert stain removal and application of stain and soil protectors. Mattress stain and soil cleaning. “I want to thank each and everyone at ICC who helped me through the restoration process following a disaster in my home’s lower level. From the first phone call, I was treated professionally and compassionately. The cleanup began immediately and the follow-up was absolutely superior. Jeff H served as our project manager. Simply stated, Jeff is the best! He guided us through each step and kept everything on schedule. Jeff offered helpful tips, was conscientious and a joy to work with. The reconstruction crew was led by Alex P. Alex is a gifted contractor and his entire crew …family members with close ties… did a beautiful job. Every detail was attended to and nothing was left undone. Each worker was thorough and exceptionally tidy. Alex was great at staying in touch and keeping appointments. Because of his excellent work, I hired Alex to do additional non reconstruction work at my home. ICC is lucky to have Alex and his entire crew! I also want to thank Jeff R. at the flooring company for his extra help with my new carpet. Jeff was thorough and did some extra research for me on carpet durability. Thank you Jeff!